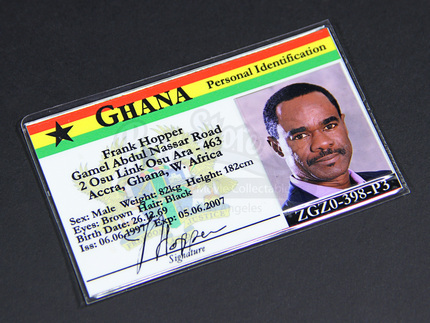 An ID card used in the production of the action adventure film Sahara. Diving for a maritime heritage agency, diver Dirk Pitt (Matthew McConaughey) rescues World Health Organisation doctors Eva Rojas (Penelope Cruz) and Frank Hopper (Glynn Turman), who are investigating a strange disease in the region. Hunted by local troops and corporate assassins, the group stumble upon a massive conspiracy – as well as lost treasure from the US Civil War. 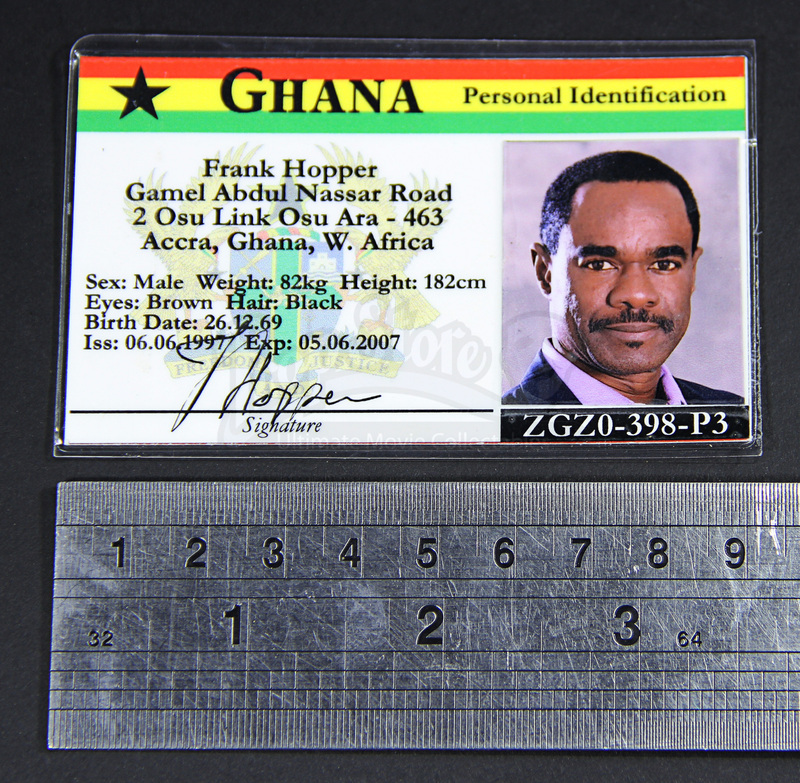 This Ghanaian ID card was issued to scientist Frank Hopper and carried with him in his investigation in Africa. 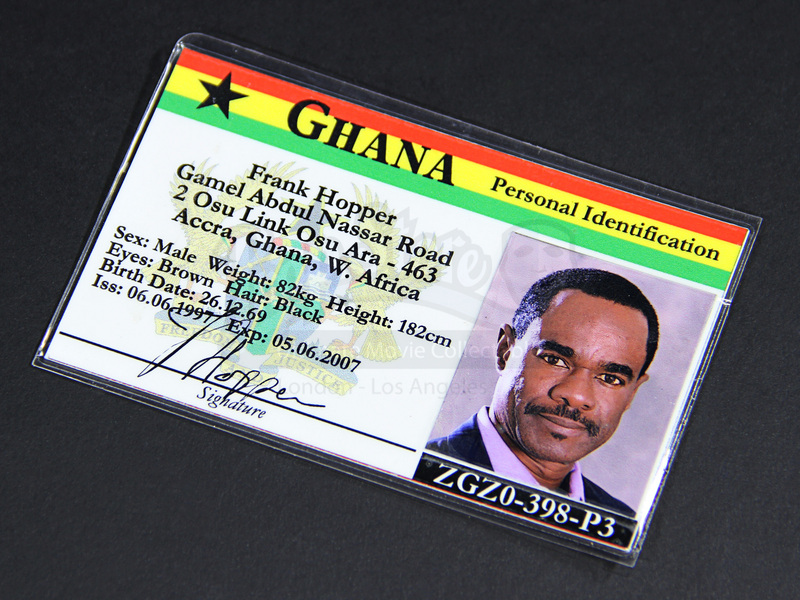 Made of laminated card, the piece features a photo of Turman in the role of Hopper with his full address, biometric details and a printed signature at the bottom. 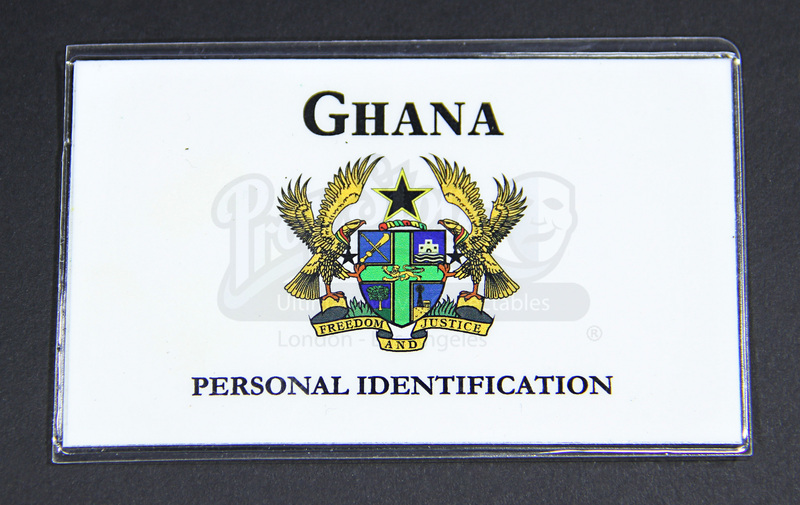 The rear of the card has the Ghanaian crest with the text “Ghana Personal Identification” in black. Displaying some minor wear from use on the film, the ID card remains in good production-used condition.